The Ruff Rider UTV & Side X Side Heat Shield is Padded to keep your coolers and pets cool in extreme heat. Helps keep animals, coolers, and just about everything else cooler when in the bed of your Side X Side. The bottom of our Ruff Rider Pet Pad uses our Heat Shield Deflection System comprised of a Thermal Fabric that Meets Military spec for constant operation under high temperature. Helps to lower temperature from machine to your pet by up to 50 degrees. Reduces noise and pads items from bouncing around when on the trail. The Upper Pad is made from 1000 Denier Cordura® Fabric that is extremely durable. Rip and Tear Resistant as well as Mold and Mildew Resistant. Ruff Rider Padded Heat Shield is designed to work exclusively with the CFMOTO Zforce Side X Sides. Comes with the RBO Money Back Guarantee. 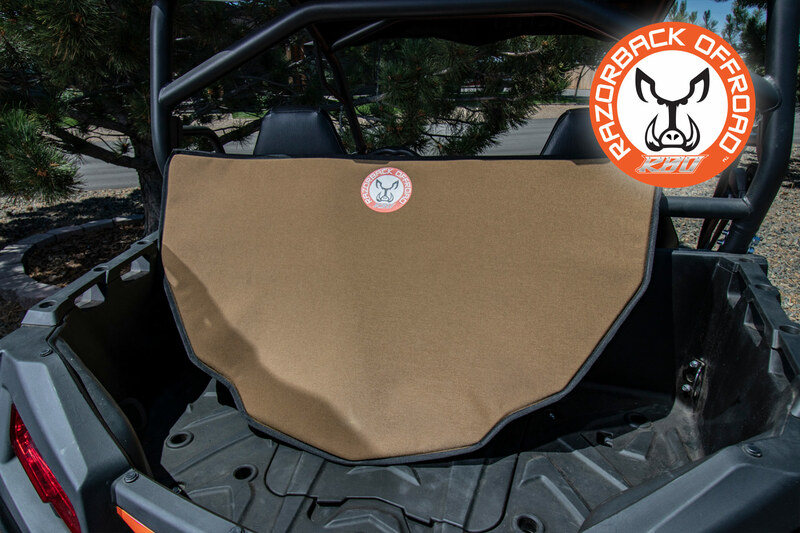 The staff at RBO is very proud to offer our Ruff Rider Padded Heat Shield for the CFMOTO Zforce Side x Side UTV. This passion comes from our love of animals and the joy that we get from sharing our Side X Sides with them. 2 Years ago, we started trying to figure out a way to reduce the extreme heat generated in the in the bed of our side x sides. Many machines generate so much heat that it would be unbearable to a dog. We worked hard to find a solution and after 2 years of development and testing we are proud to offer our Ruff Rider Side x Side Heat Deflector Pad. We feel we have designed the best Dog Pad, Animal Pad and Heat Deflector on the market for use in your Side X Side UTV. We designed our Ruff Ride Padded Pet Pad to not only keep pets cool and comfy we designed it to help keep your cooler cooler .